„Every business is digital business“ – there are barely any companies nowadays that do not depend on flawlessly running IT processes. That is why tomorrow’s IT infrastructures need to be physically protected as best as possible. And this is exactly what drives Kentix to develop the best Smart Building Security systems for the ever growing IT infrastructures across all industries. With our Kentix MultiSensor® Technology, we developed a security solution that is much more efficient than the ones previously existing on the market and improved the monitoring of IT infrastructures of all sizes significantly. We aspire to new technologies that interconnect our products via the “Internet of Things“ and let them communicate faster and more reliably. 80% of global IT infrastructures today are not sufficiently secured against physical risks. The demand for effective and reliable environmental monitoring solutions is growing – especially with growing regulatory requirements for the physical security of IT infrastructures. With our ingeniously easy integrated security solutions, Kentix provides the innovation you need to keep your mission-critical IT infrastructures running flawlessly! Kentix systems offer network based solutions for any demand and can be applied in all sectors of the economy. With Kentix, you can easily optimize your IT availability and avoid system outages before they occur. Kentix is Member of the Association of the German Internet Industry. Kentix is a member of the BHE a national association of manufacturers and installers of security systems. 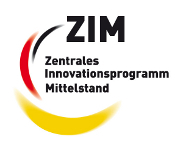 Kentix participated at the program “Zentrales Innovationsprogramm Mittelstand”.